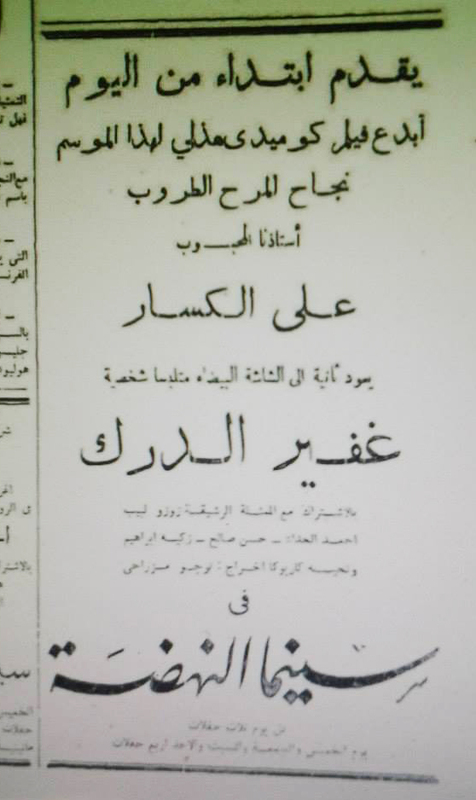 This is a translation of the advertisement for the 1936 film Khafir El Darak (The Night Watchman). According to the El Cinema web site, it was released on October 29, 1936. This movie featured Taheya Carioca in her first raqs sharqi role on film. She isn't mentioned in the film's credits at all, but her name does appear in this ad. She only has a small dancing part in this movie, and this is the first time she was identified in a film using the name Taheya Carioca. 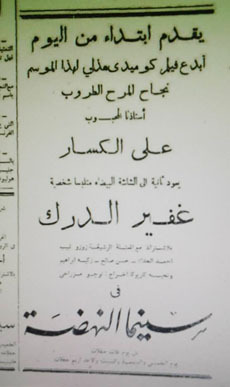 Just one year before, in 1935, the credits for an earlier movie Dr. Farhat credited her under her real surname of "Mohamed". Click here for a video clip of Taheya Carioca's dance performance in this film.